Whenever you hear Greece you think of Greek Islands and probably Mykonos or Santorini, but there are so many other places in Greece that you need to discover guaranteed to take your breath away. 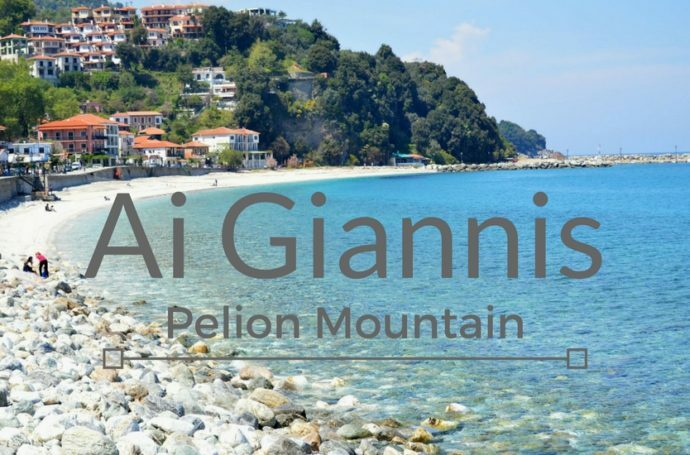 One of these places is mountain Pelion and the little seaside village of Agios Ioannis or Ai Giannis, where I recently spent Easter Sunday with my family. Easter for us Greeks is one of the most important holidays of the year and is considered more special than Christmas, for a non-Greek reading this, I can understand that you will be surprised. Easter is a great period to visit Greece as you will get to see all the Greek Easter traditions, which involve a lot of food, enjoy the nice weather without being extremely hot and pay less for your accommodations compared to summer time. Easter for me has always been a family holiday and I could even say that I prefer it to Christmas only because it is during spring which means that we are guaranteed the nice weather. 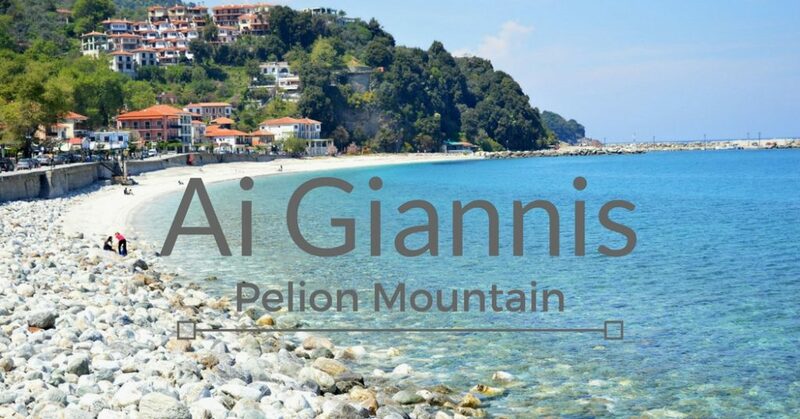 Mountain Pelion is in the central East coast of Greece close to my very own city of Volos. 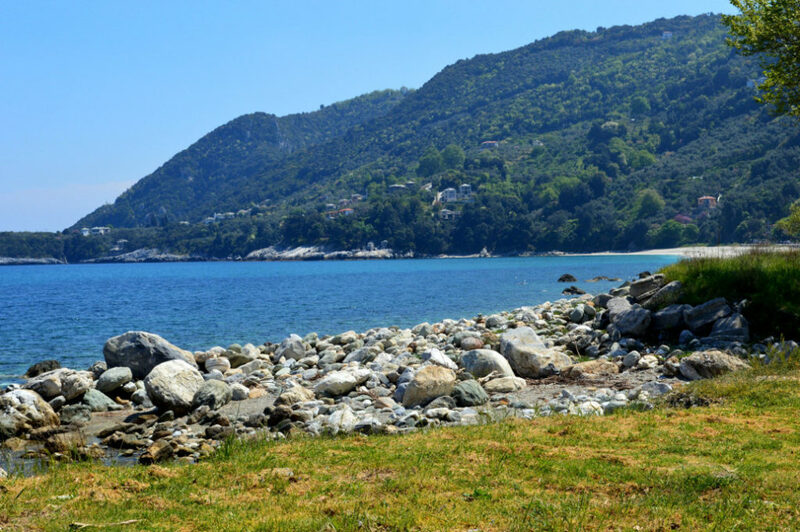 The Mountain is strategically located next to the sea and the Golf of Volos which means that there are a number of seaside villages to explore. It has also been the place where I spent most of summers as a child bringing back memories every time. It may not be that popular to people from outside of Greece so it stays untouched catering mainly for the locals and Greek tourists. The best way is by car so you can visit the other villages close by and get to explore the mountain more. If you don’t drive then you can take the bus from Volos. The journey by car can take up to 1-hour max but by bus, it can take a lot longer. 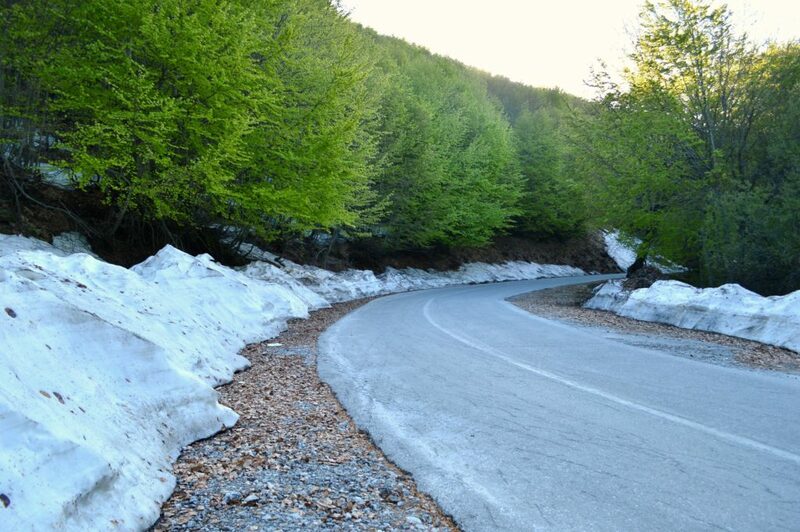 The route is very scenic as you will drive pass the snow resort of Chania and you might even see snow on the way depending the season. 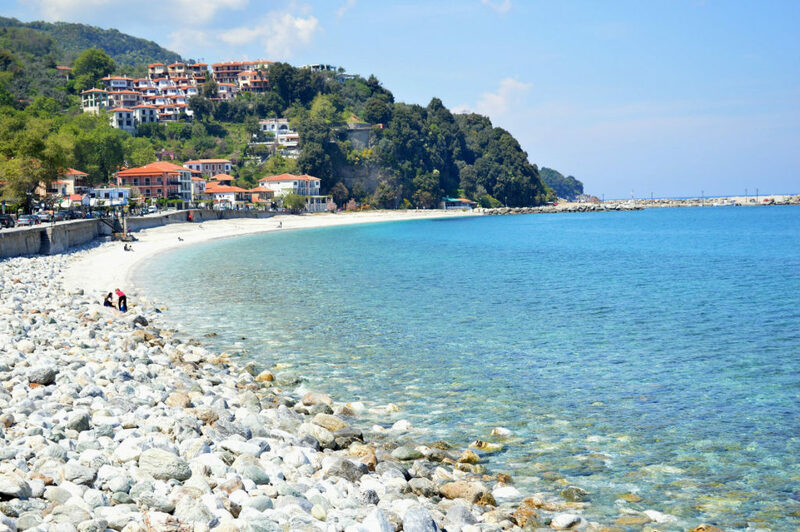 Agios Ioannis is one of the most popular seaside villages on the East side of Pelion Mountain. As it is on the outside part of the golf (see map here) the sea can often have big waves making you think that you are on a tropical island. As the waters are deep the beach is not recommended for surfing. However on a good day where there are no waves, and these days are many, the water is so crystal clear with a green-blue colour which you should not miss. 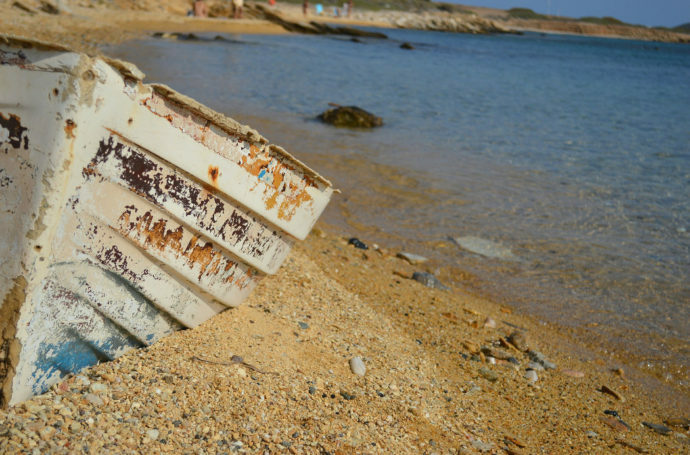 Agios Ioannis Beach has 3 beaches that are all walking distance from the main village. Agios Ioannis beach, Papa Nero beach and Plaka beach. 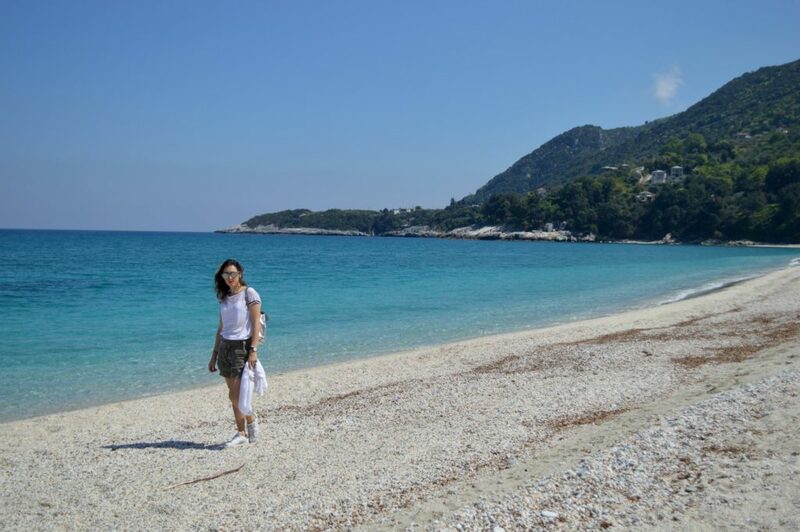 The most remote beach would be Plaka where you will have to bring your own food, water and umbrella for the day. There are so many places to eat and you will be spoiled for choice. For traditional Greek cuisine I would recommend Remezzo restaurant and Akrogiali restaurant. 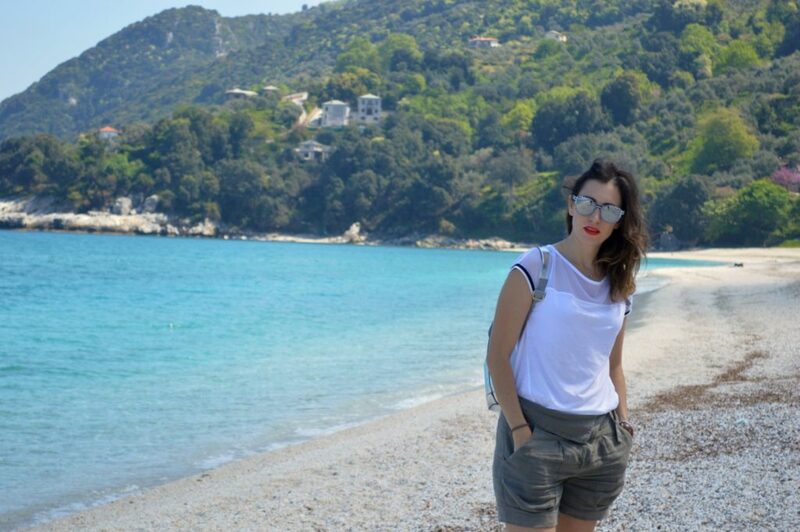 If you are considering to visit Pelion mountain then please to tweet me on @Kassiani_Cheir to get the discussion going.